We all like the idea of getting free money. The thought of being able to enjoy money without having to work very hard for it exerts a strong pull over many psyches. However, even as the idea of free money is one that spurs the imagination, many insist that free money isn’t a true possibility. The good news is that these folks are wrong. It is possible for you to learn how to get free money. The money you get may not offer you large amounts of riches, but every little bit helps as you look to build wealth. Coupons: Having a coupon for $1 off an item is the same as having that money. Instead of spending that dollar as you normally would, you get to keep the money. It’s basically like getting free money. However, you aren’t likely to enjoy vast, amazing riches with the help of coupons. Signup bonuses: If you want free money just sent to you, take advantage of signup bonuses. There are a number of banks that offer signup bonuses to those who open checking accounts and meet certain requirements. Credit cards also often offer signup bonuses, resulting in extra cash back for your account when you sign up and make purchases. These signup bonuses provide you with free money in the amount of between $50 and $250, depending on the offer. Dividends: If you investing in dividend stocks, you have the chance to get free money from the company. Dividends represent a portion of profits that a company pays out to its shareholders. Basically, you get an extra payment just for holding shares of a company. This is beyond any capital appreciation you might see. Getting this free money can be a great way to grow your wealth. In fact, if you are careful about the way you build a dividend portfolio, it’s possible for you to get to the point where you are able to see a fairly substantial income just from this free money. Of course, just about any free money requires that you do something initially. But the actions you take are usually rather small and easy. You don’t usually have to keep up with something, either. However, the best free money is the income that comes fairly passively. Dividends are a great example, since they are recurring. You can only get a signup bonus once, and coupons offer only a very small amount of money to you. Really think about how to get free money, and what approach is likely to work best for you. Long term, the sources of free money that offer you recurring income are probably the best. Build up passive income, and you might be surprised at how much you can get for a small amount of effort. What do you think? Where do you find free money? 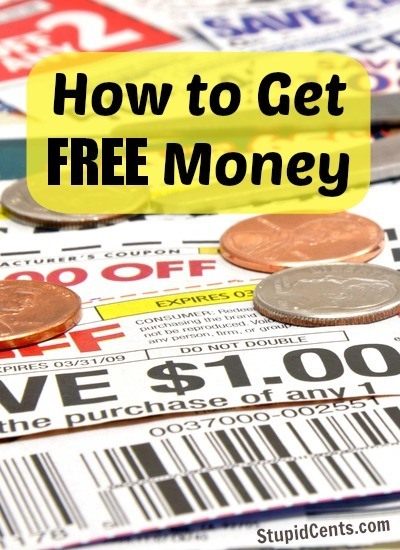 Or do you think that there is no way to get truly free money?